Height: 14 in. Width: 24 in. Depth: 24 in. Diameter: 24 in. 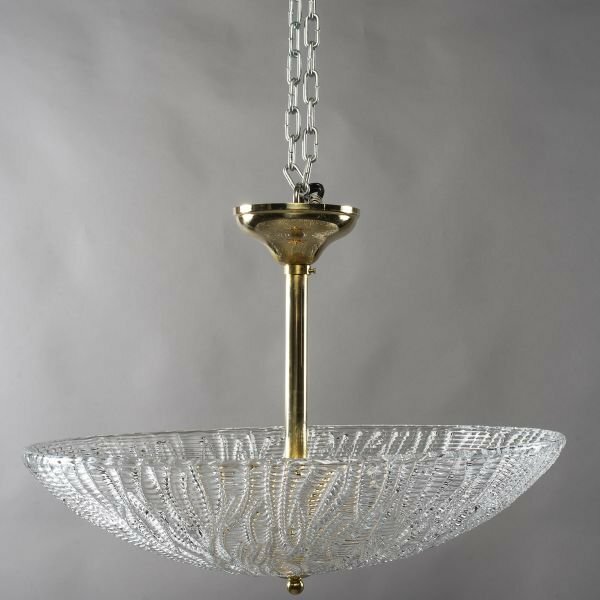 Circa 1960s ceiling / pendant fixture attributed to Barovier and Toso consists of thick, clear handblown glass with a textured pattern and umbrella shape with polished brass hardware and canopy. Six internal candelabra sized sockets. Electrical wiring has been updated for US standards. No flaws found.